Found one file extension association related to FormConnect and 1 file format developed specifically for use with FormConnect. Developer / company: FormConnections, Inc. 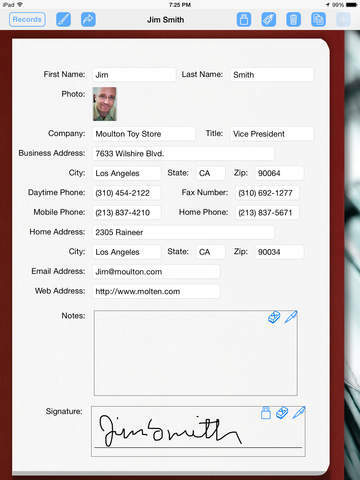 The FormConnect and FormConnect Pro apps allow you to create forms for use on both your iPad and iPhone. You can create various types of forms including patient intake forms, customer contact forms, onsite inspection reports, invoices, expense reports, proposals, purchase orders, surveys and more. If you need more information please contact the developers of FormConnect (FormConnections, Inc.), or check out their product website.